Activities , Visit Packages to learn more! See how our naked buff butlers can get involved with party ideas for your next birthday, baby shower or hen party. 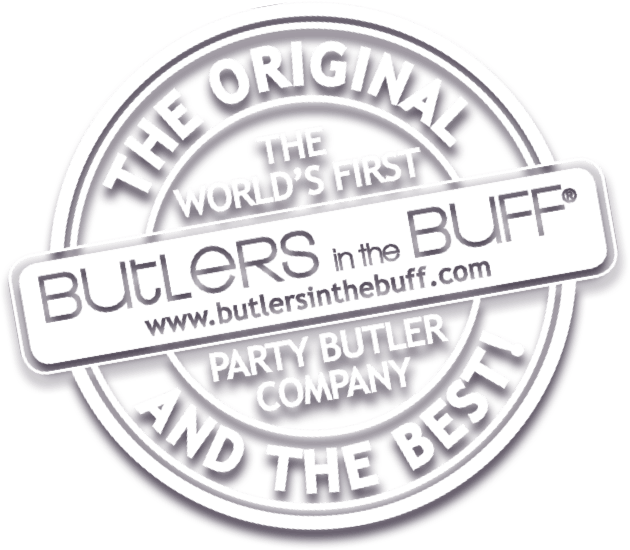 Butlers in the Buff™ - The Original 'Male' Order Company! Welcome to the Nation’s first and favourite Butlers in the Buff™! You won’t get a better butler from anywhere else! Most reliable, hottest butlers and the genuine article! Naked Butlers, Buff Butlers whatever you’d like to call us, we’re THE OFFICIAL BUTLERS IN THE BUFF™. We are the original and still the best butler company. Gorgeous men for hire. Our naked buff butlers specialise in serving hen parties, girls nights, gay weddings, birthdays, baby showers across the United Kingdom. We are the World’s first and favourite naked butler company. The best butlers and the best reputation for delivering a 5 star service again and again. Life Drawing, Cocktails, Afternoon Tea & Party Buses are some of the packages we offer. We cater for all tastes… Check out our packages here! Just call 01275 395 336 or use our easy instant quote. Naked and Buff Butlers from Butlers in the Buff™ are licensed and fully insured for your peace of mind, and credit card payments are made easily and securely online or over the phone.